Major royal diamonds were out and about at Windsor yesterday! 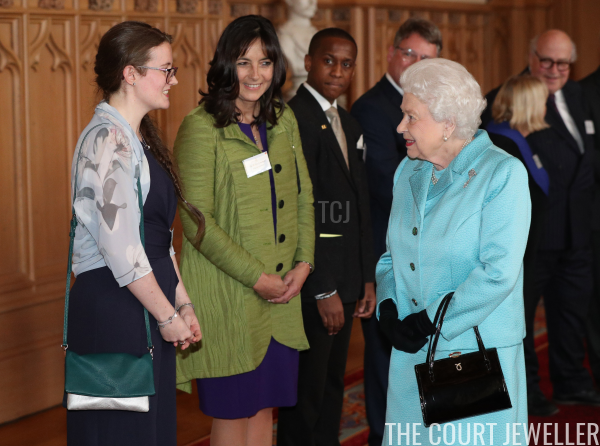 The Queen, the Princess Royal, and the Duke and Duchess of Gloucester attended a reception at Windsor Castle celebrating the centenary of the National Council for Voluntary Organisations. 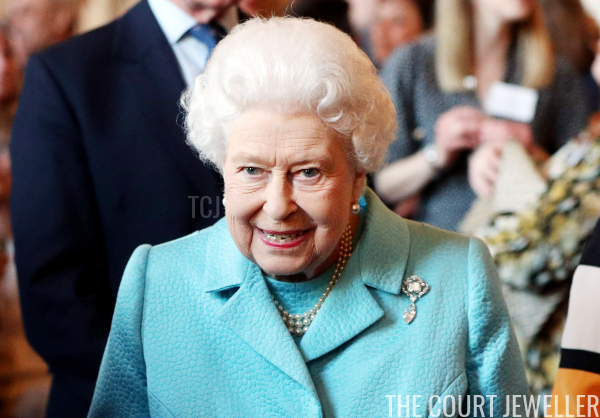 The Queen arrived at the reception wearing her usual pearls and an important brooch made using stones taken from the Cullinan Diamond. 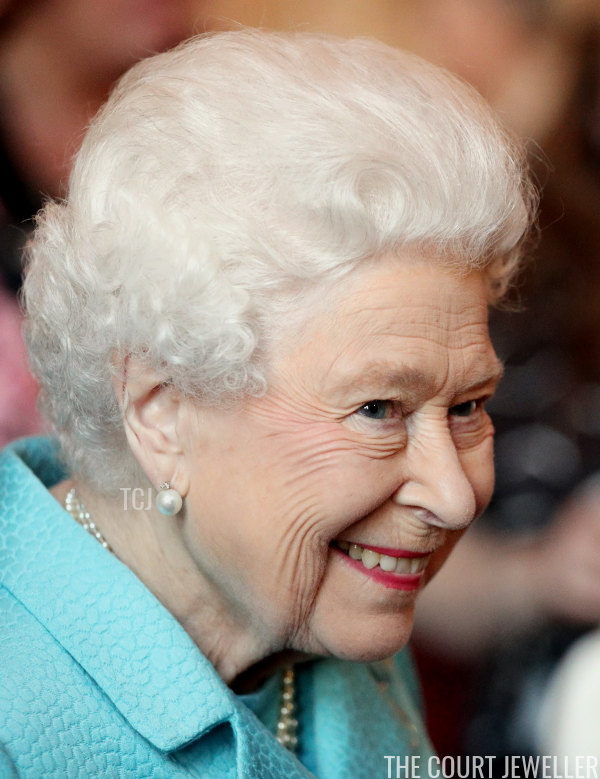 We also got a good look at HM's go-to pearl and diamond earrings at the reception. 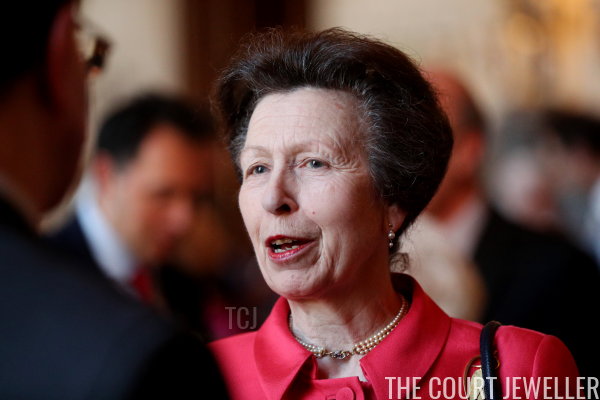 The Princess Royal also wore pearls and a brooch for the reception. 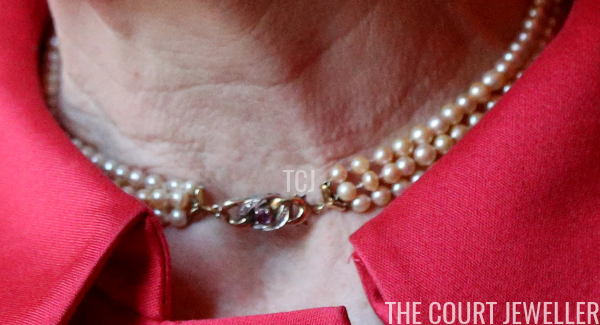 Here's a closer view of Anne's seed pearl choker necklace, including its dainty gem-set clasp. 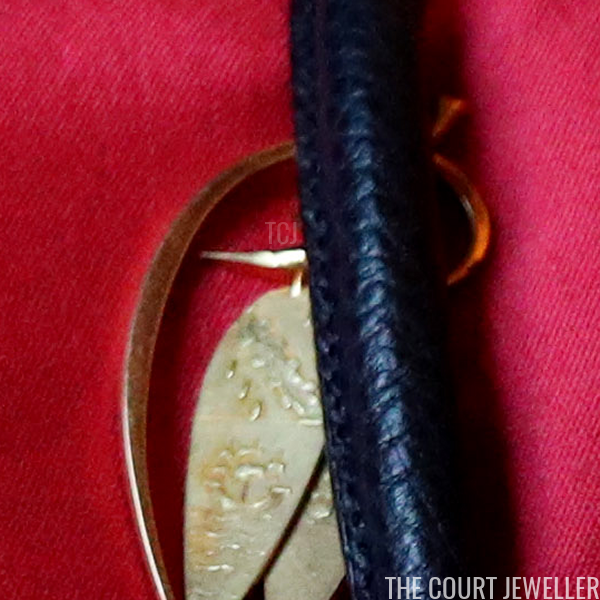 Anne also wore an engraved gold brooch for the occasion, though some of it was sadly hidden by the strap of her handbag. The Duchess of Gloucester reached for pearls, too: her gorgeous silvery black pearl necklace, which she paired with floral earrings. 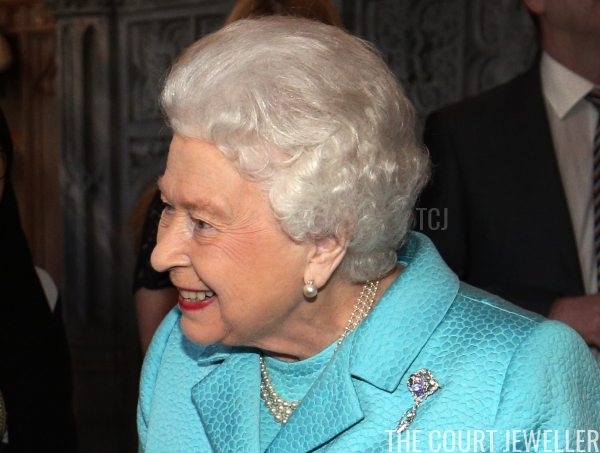 Interestingly, there was one more major piece of royal jewelry at the reception: the Greville Emerald Kokoshnik! (Much more on the tiara here!) 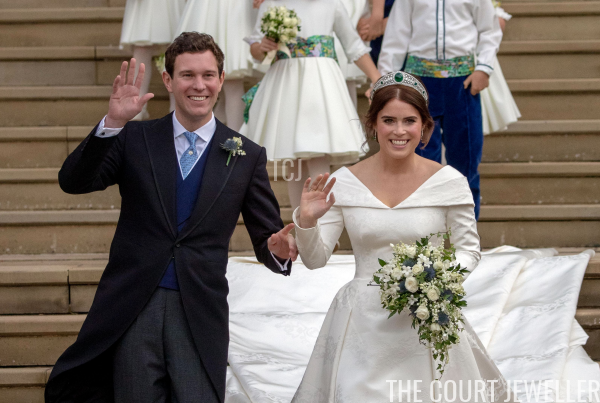 The event was held in the same room where Princess Eugenie's bridal attire is currently on display. The tiara, as well as the bridal gown, groom's attire, and attendants' outfits, will remain on display until April 22.